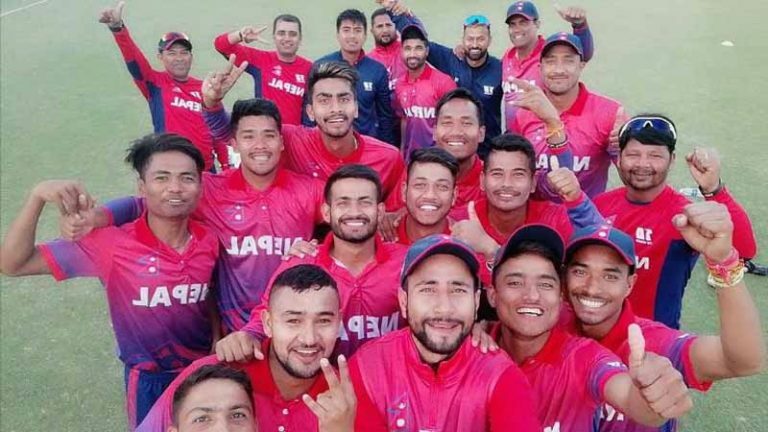 Nepal returned home victorious on Monday after defeating the United Arab Emirates 2-1 in both one-day international and T20 international series held at the ICC Academy in Dubai. The bilateral series was held from January 25 to February 3. 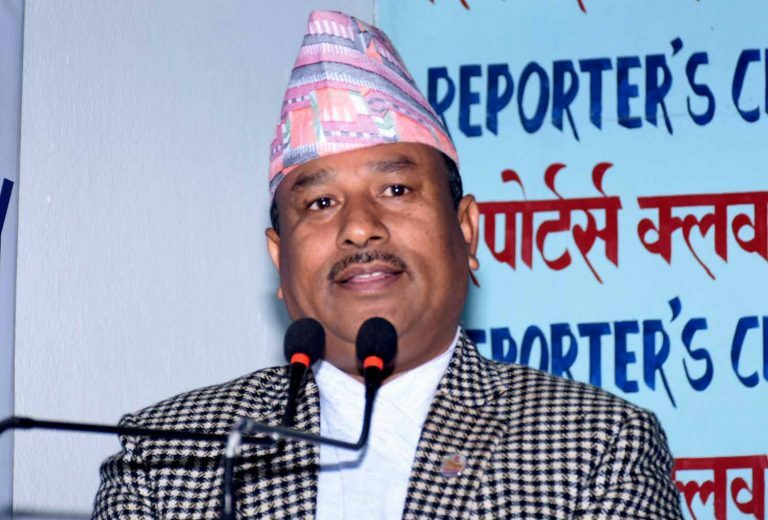 PM Oli in a tweet extended best wishes and congratulations saying he was very happy to know Nepal’s win over the UAE by 14 runs in the third match of the series. 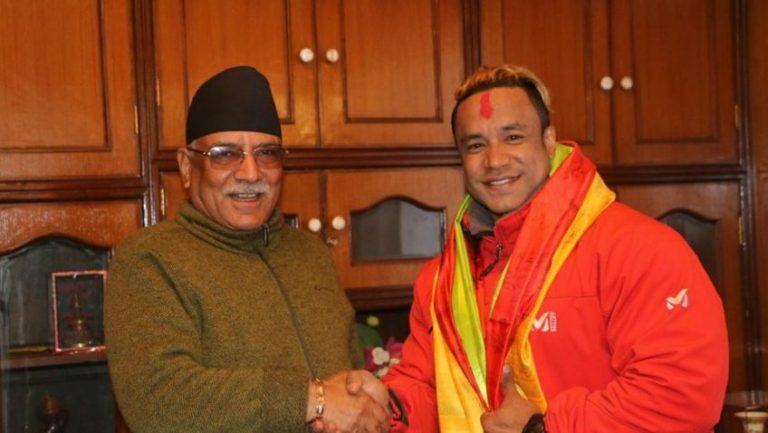 Nepal clinched the series 2-1. 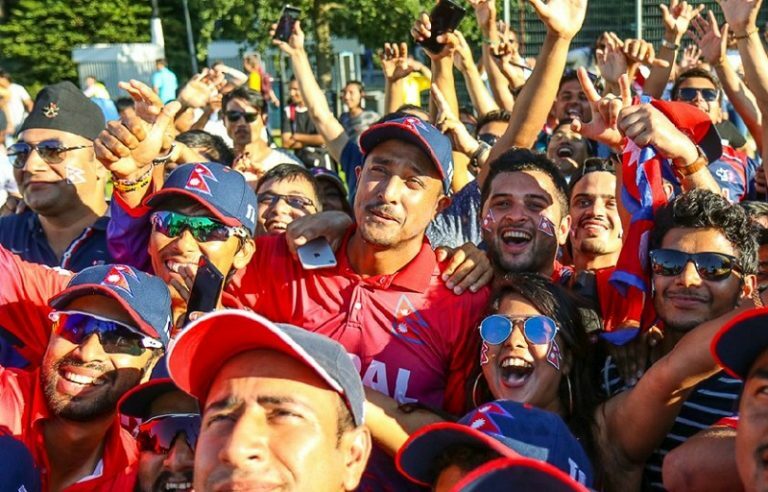 Paudel, aged 16 years and 146 days when he made the record- smashed 55 off 58 balls in the second one-day international against the United Arab Emirates, ensuring Nepal’s win. 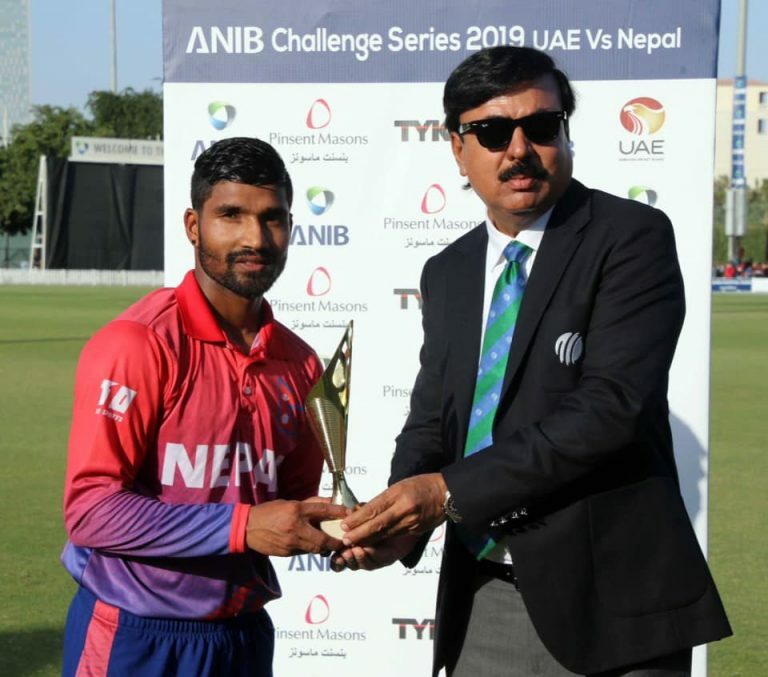 Rohit Paudel’s fifty lifted Nepal to 242/9 before Sandeep Lamichhane and Sompal Kami shared nine wickets to bowl UAE out for just 97 in 19.3 overs in Dubai on Saturday. Rohit Paudel broke Shahid Afridi’s record to become the youngest half-centurion in one-day internationals on Saturday. Paudel, aged 16 years and 146 days, scored 55 in the second ODI of Nepal’s tour of the United Arab Emirates.